Pipa, 브라질의 SugarCane Hostel | 호스텔월드에서 예약하세요. For any group larger than 8 people SugarCane hostel requires a 50% 2 weeks prior to arrival. 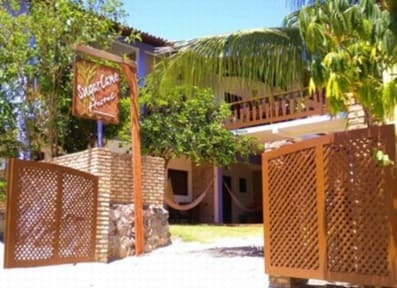 Sugar Cane Hostel, in Praia De Pipa, Rio Grande do Norte, Brazil, brings together travellers from all over the world who can enjoy the great facilities and location of Sugar Cane. Brazilian runs Sugar Cane wants to give our guests a family feel with a friendly and welcoming atmosphere. Approximatly 150 metres to the main Street of Pipa Av. 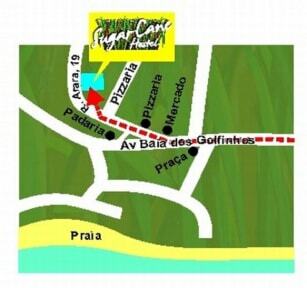 Baia dos Golfinhos, where you will be able to find all the best bars, nightclubs and shopping. Praia Central being approximately a 300 meter walk, makes the relaxed vibe of Sugar Cane extend all the way to the soft golden sands of Pipas world renowned beaches. Enjoy a sunset drink on our terrace bar or kick back and relax in a hammock until nightfall when Pipas electric nightlife comes alive. Coming from a travelling background we have tried to make Sugar Cane as traveler friendly as possible with the facilities every modern day traveler needs. So please feel free to contact us with any questions you may have and we look forward to having you stay with us all at Sugar Cane in the future.